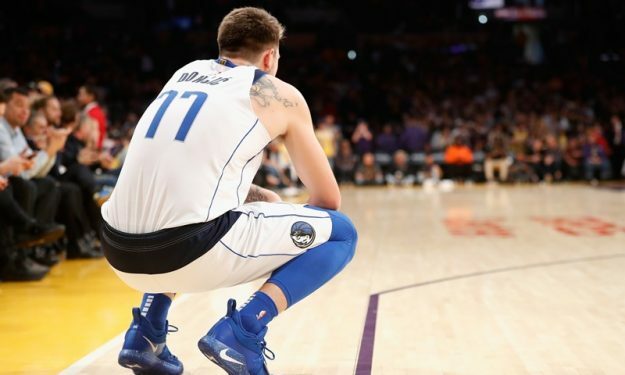 Luka Doncic is proving to the biggest basketball scene that he will leave his mark on the sport and having a profesional experience despite his young age is a big reason behind his success. One year ago, Luka Doncic was projected as the favorite to be the number one draft pick, but nobody in the States really bought into that. Fresh from his Eurobasket success, Doncic was leading a Llull-less Real Madrid in the Turkish Airlines EuroLeague and even that was dismissed as “hype”. Even when Doncic won the EuroLeague with Real Madrid being both the regular season and the Final Four MVP, many doubted his abilities. While his talent was evident and proven in the biggest European basketball competition, the critics were not convinced about his defense, his athleticism, even his shot. For Doncic this was just background noise. While most of the other draft prospects were focused on impressing NBA scouts, his priority was to win titles. And not just for any club. While the gap between European basketball and the NBA remains big, a teenager playing for Real Madrid is not a small feat. The scouts were impressed by what they have seen on the court with Doncic playing against grown men. And while many US analysts have made that point, the casual US fan simply dismissed it. It’s not a surprise, considering that even Charles Barkley was not sold on the young Slovenian. With Doncic averaging 19.1 ppg, 4.2 rpg, and 6.5 asp while the Mavs are on the eighth spot of the West, all that seems like ancient history. It’s not easy for any European writer to compare any young player to Drazen Petrovic. The great, late “Mozart” is the sacred cow of European basketball lore, for many the best ever European player and for everyone a legend. Doncic not only followed his footsteps but he had the success that Petrovic did not achieve during his teenage years. It’s easy to write it in retrospective, but in reality, Luka Doncic was the safest possible draft pick. No other player of last season’s draft was tested and proven on the same level of competition. And it’s not a surprise that the team which knew it beyond any doubt was the Dallas Mavericks. Donnie Nelson is also a legend in Europe, a guy who understood the value of Euro-players long before any other US-based general manager did. And Dallas remains the only team in the NBA that won an NBA championship title having a European star as the main attraction. Picking Doncic was more than natural for them and the reward is obvious. Luka Doncic is currently also the safest bet for winning the rookie of the year award. And while technically he is an NBA rookie, his main advantage against his competition remains – despite his young age – his experience. Once again this is news for the general NBA audience, but not for Europe. Doncic made his debut with the senior team of Real Madrid back in the 2015-16 season. While other NBA prospects were still in high school, he was competing against the top players of the old continent. And yes, the top players in Europe are not at the level of NBA All-Stars. However, it’s insulting for their abilities to be compared to the NCAA, especially the one-and-done era. Doncic practically had his rookie season as a professional three years ago and during three seasons with Real Madrid, he made the jump from teenage sensation to a true leader in a record amount of time. 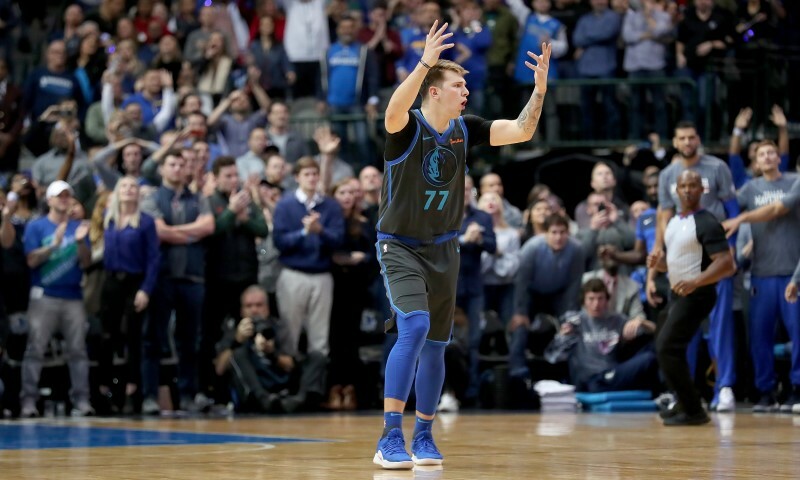 At this point, a place in the NBA All-Star Game is not out of the question for the Slovenian wunderkind and the playoffs are a realistic target for the Mavs. And if the fact that a 19-years old European player is already leading an NBA team doesn’t make Doncic unique, then he should walk on water in order to prove the doubters wrong.